Now that the Lynden Pindling International Airport in Nassau, Bahamas has completed its $409m. redevelopment, it is the perfect time to take advantage of the Fly Free from Nassau offer from Valentines Residences, Resort & Marina. With any consecutive 3 night minimum stay, guests receive one ticket and with 4 nights guests receive two tickets from Nassau to North Eleuthera with any flight originating in USA, Europe, Latin America, or Canada. To take advantage of this deal, book by June 30, 2014 for travel by October 31, 2014. Certain blackout dates apply including December 22 – 31, 2013 and March 4 – April 14, 2014. There are currently great deals on flights into Nassau from many major cities, including $271 from Ft Lauderdale (Jet Blue). $313 from Atlanta (Delta), $351 from Washington DC (US Airways) and from Baltimore (Air Tran), and $373 from New York (Delta), just to name a few. The new 606,000 sq. ft. Nassau airport is capable of accommodating 50 percent more passengers (more than 5 million each year), who can now enjoy 24 retail locations and 16 restaurants, bars and lounges. But there is never much of a layover wait for flights to Eleuthera, with at least five scheduled flights each and every day. Travel is made even easier and faster through pre-clearing U.S. Customs & Immigrations in Nassau. 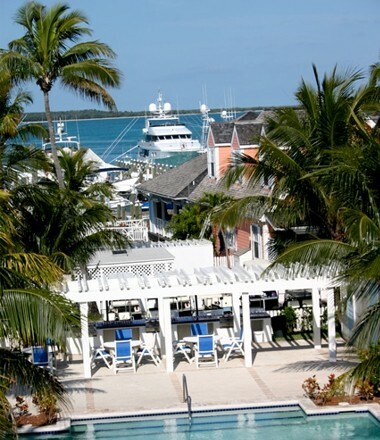 Valentines Residences, Resort & Marina is an upscale, boutique resort in world-renown Harbour Island that attracts people from all over the world including boat enthusiasts, couples, and families. The resort offers luxury suites that are unparalleled among Bahamas hotels. With colorful clapboard-sided walls, white trim and shuttered dormer windows, they provide a unique experience for all our guests. Each suite comes equipped with WiFi and cable television, modern kitchen appliances, with large balconies overlooking the pool, gardens and marina. For more information, visit https://blog.valentinesresort.com/bahamas-vacation-packages.php or call 1-866-289-6864 for hotel and flight reservations. valentineblog	November 19, 2013 0 Com.